Bridgeport on Chicago‘s South Side has long been a foothold for hot dogs and pizza wars, but unique breakfast diners and cafés are bringing people from neighboring communities here looking for variety. We pick the best places to eat while you’re in the neighborhood. Walking in, patrons see the typical diner layout: there are booths along the five windows, a small bar separating the kitchen from the restaurant, and the hard-working staff bringing home-cooked meals to the families packing the tables. Bridgeport Restaurant is the go-to breakfast gem for many of Bridgeport’s residents. With prompt service, the wait staff is able to recommend breakfast favorites and get the meal to your table within 15 minutes. 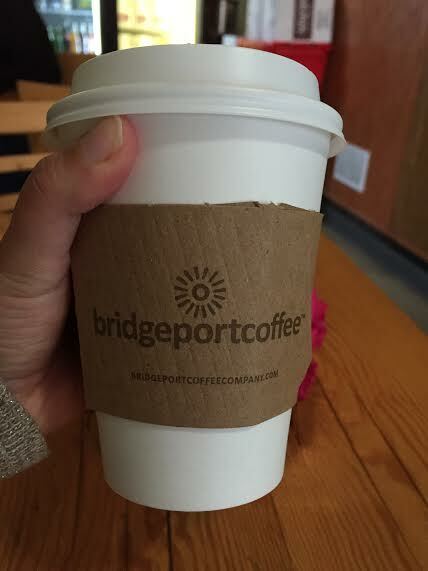 Bridgeport Coffee isn’t like your typical Starbucks or Dunkin Donuts. Hidden on the corner of 31st Street and Morgan Avenue, this café’s cozy atmosphere is home to an eclectic group of people, ranging from college students to long-time hipsters and locals. As the barista brews your coffee, tea, or hot chocolate and your sandwich is prepared, sit back and look at the photos around the walls that show Bridgeport’s history. Since 2009, Bridgeport has accommodated Chicagoans’ growing interest in vegan and vegetarian foods. 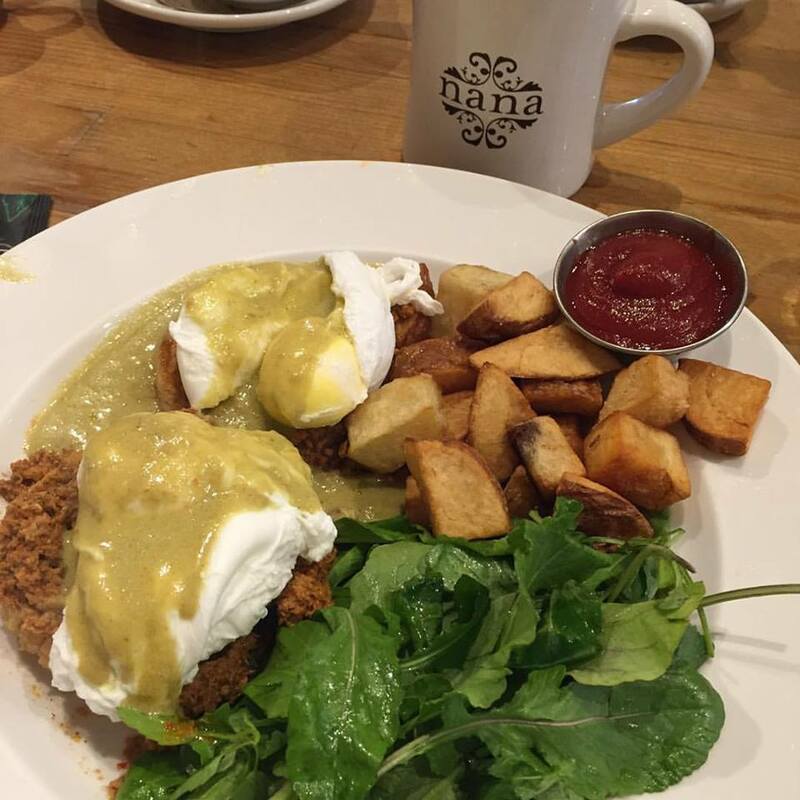 Nana offers its patrons both indoor and outdoor seating. However, after walking inside, the bright interior will make you wonder if your server seated your party outdoors anyway. The natural colors on the walls and the bright light coming in from the windows makes you feel as if you’re on a picnic. From the outside, Jsmile51 looks like an unassuming apartment. When you walk in, you see the neon lights, funky light bulbs, and nightclub seating. This scene is perfect for young adults looking for weekend brunch or morning dessert. Start the meal off with a hot tea or coffee and ask the waitstaff to bring you the house-made croissant sandwich. 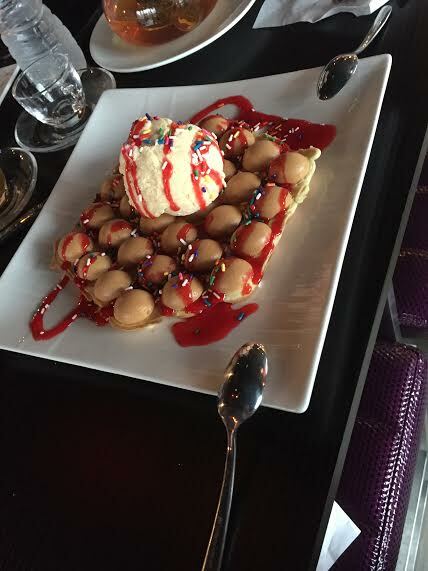 Once that is finished, end the meal with the homemade Japanese honey toast or egg waffle.